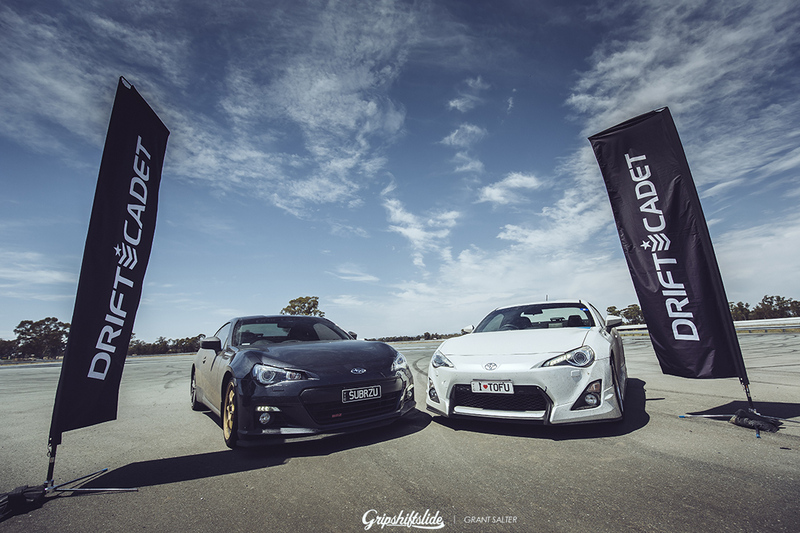 The popularity of drift within Australia has gone through many phases and the ability to get into the sport has changed. Despite the national drifting series dwindling, statewide competitive drifting has increased, so the question is what is being done to further the culture of drift? How should the sport foster talent of newcomers? Or even inspire the younger generation? Those kids who haven’t even got their licence yet! 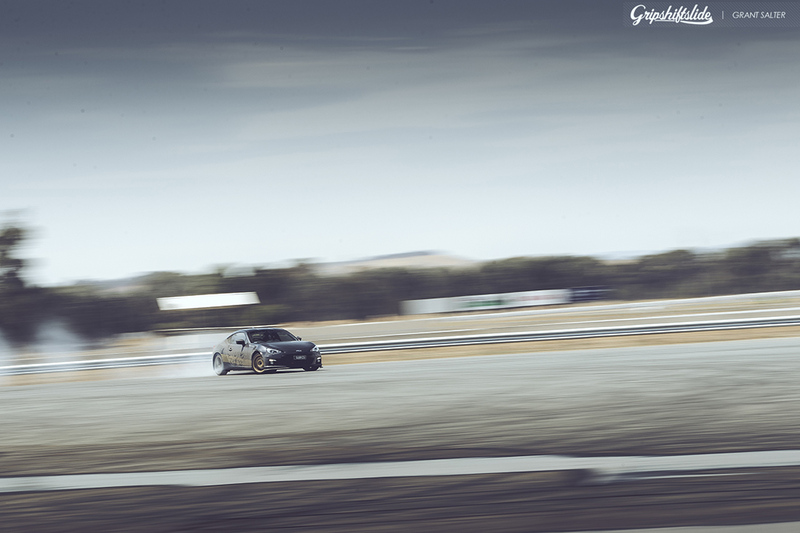 How often do you see drifting of any kind on TV? 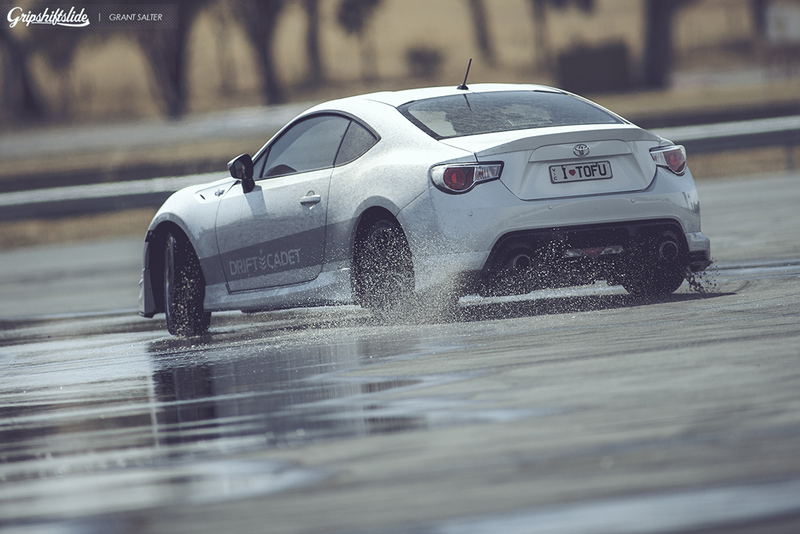 Yes it’s easy to find on the internet, but only really if you go looking for it, and especially Australian drifting. 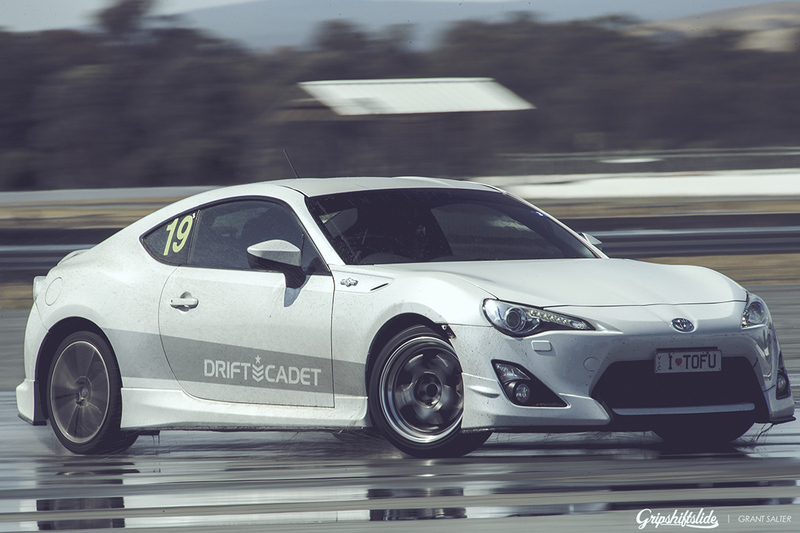 The culture of drift in Australia is missing some vital things to increase the popularity of drift as a whole. Where is the Auskick for drift? Where are the heroes of the sport and what are the incentives? stopping people from affording cars that were once cheap and capable. Therefore the amount of drifters are low relative to other countries. The reason being accessibility to the sport and equipment. 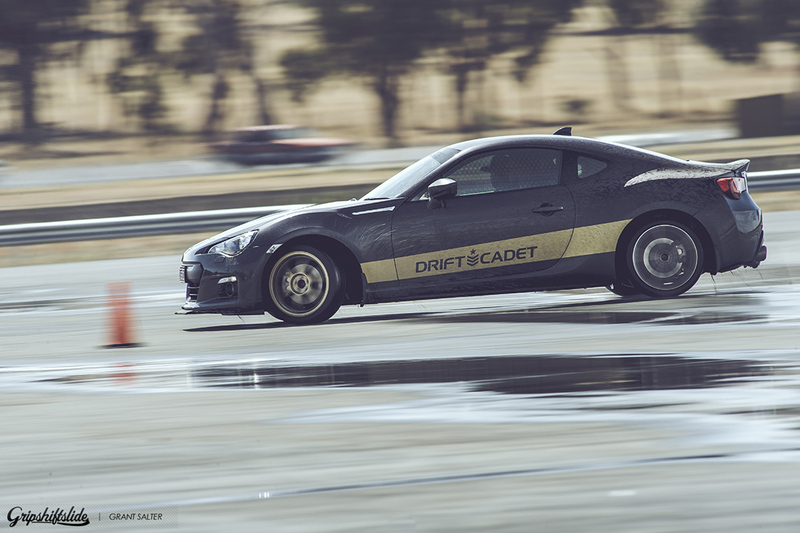 Thankfully Drift Cadet has created an entry point into the sport of drift. Not only do they provide the car, they also have Victoria’s best competitive drifters as coaches! With three different levels- beginner, intermediate, advanced. 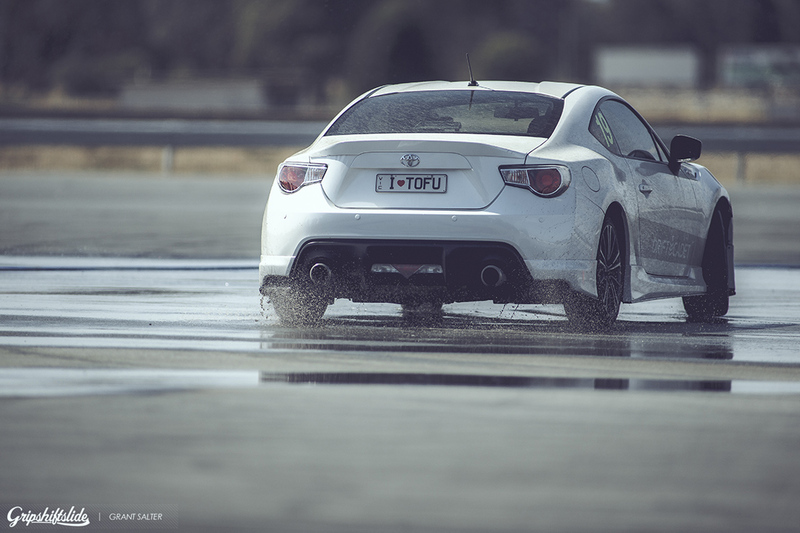 From skid pan to the track, nothing is left out. 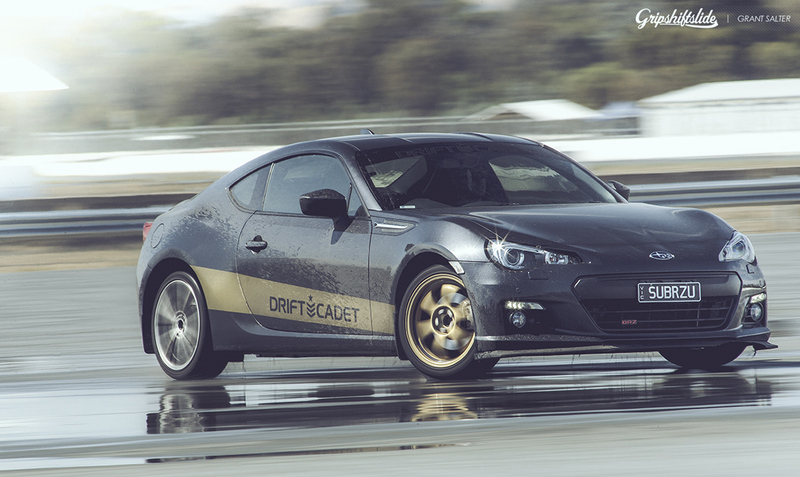 One of the greatest features of Drift Cadet is the ability to just arrive and drive. 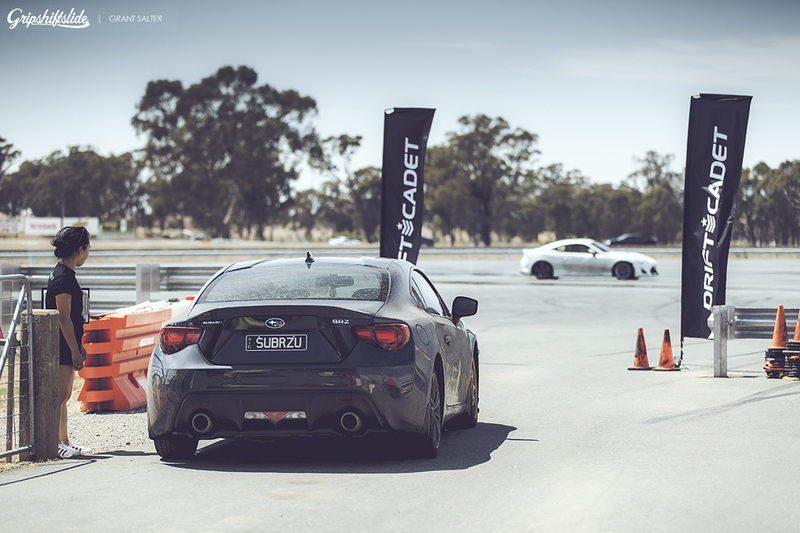 This really puts Drift Cadet on the map as one of the best drift schools in Australia. Better yet there is no cost of owning a car, maintenance, or repairs and no towing the car back and forth from the track. From viewing drifting through the lens for so long I thought it was time to actually get in there and have a go. To say I was excited is an understatement! My only drifting experience thus far was wet roads and an over boosted MR2 Sw20 or doing roundabouts in a Honda Beat with over-cambered rear wheels and cheese cutters showing wire on the outer edges. 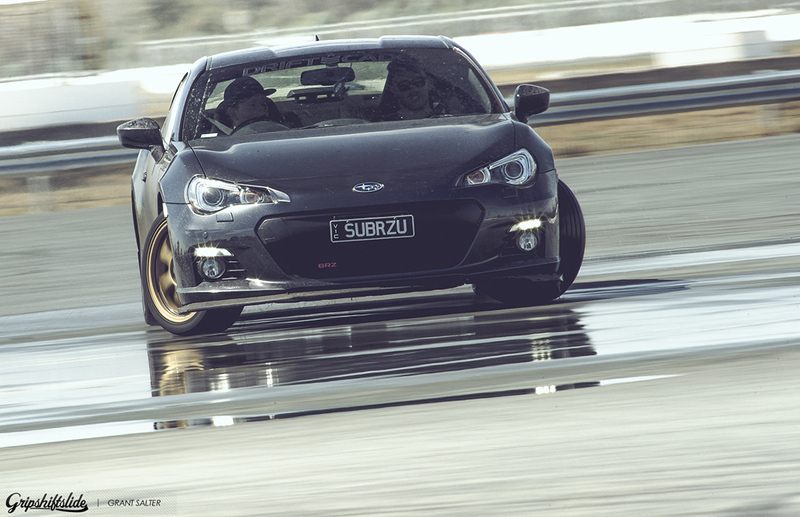 The Subaru BRZ’s are the cars we were learning in. So why did Drift Cadet choose this platform? Because with the number of BRZ/86s manufactured in the last five years you can most definitely speculate that they will become the new S13 in the local drift scene. So what mods are they running? Well here is the kicker! Basically nothing! 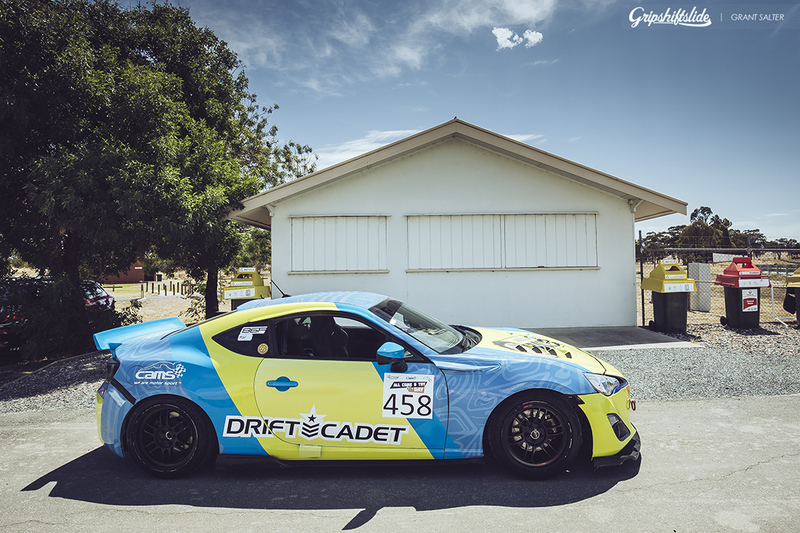 then you will understand the philosophy of Drift Cadet. I was so suprised on how well a standard car puts up with such punishment. 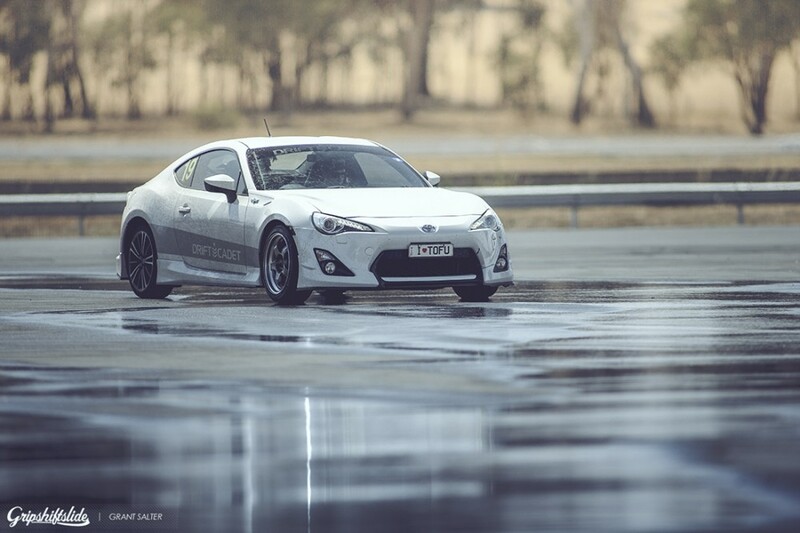 The BRZ/86 is such an underrated car and the fact is that most people never get to test the full potential of these great cars. 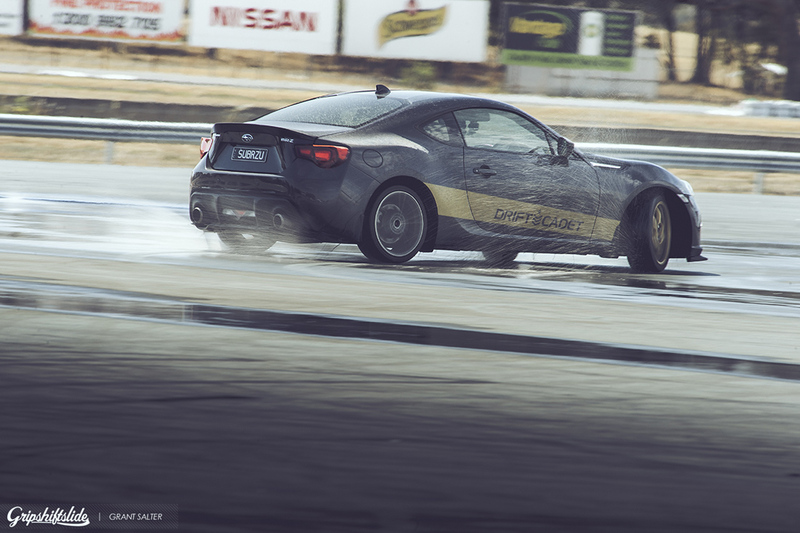 The first lesson we had was to perform donuts around a cone on the skid pan. We were instructed to get the car in the high revs then dump the clutch and keep the car in a controlled donut without losing drift. All the hours on Assetto Corsa drifting on the online GripShiftSlide server helped out and the donut came with ease, yet mastering the figure eight did not come easy. I found out quickly that speed and weight transition are things that translate very differently in the real world. They say that with time you are able to feel what is happening with the car using your bum? Quickly I went from doing well to constantly spinning out and it was a combination of things I was doing wrong. Both instructors gave me plenty of pointers yet I was too pig headed and excited to fully implement their instructions. pulled off a couple of figure eights but often built up too much speed and would spin out. Breaks in between sessions gave me and the students time to watch others on the skid pan. This also gave us the opportunity to sample the great coffee and snacks on offer from Amabelle Patisserie. Time went so fast and before I knew it the day was over. I learnt so much yet the surprise of the group was a fifteen year old that made us all look like amateurs! He was cutting figure eights straight out the gate! 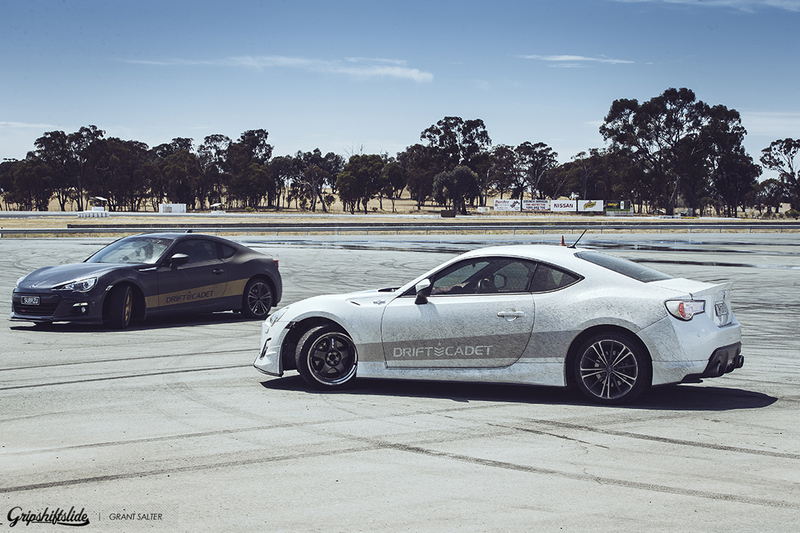 Drift Cadet is really the only independent group teaching drifting in Victoria and you also get a CAMS Speed Licence when you complete the beginners course. When the lessons were over we were invited to go for a ride with the teachers. 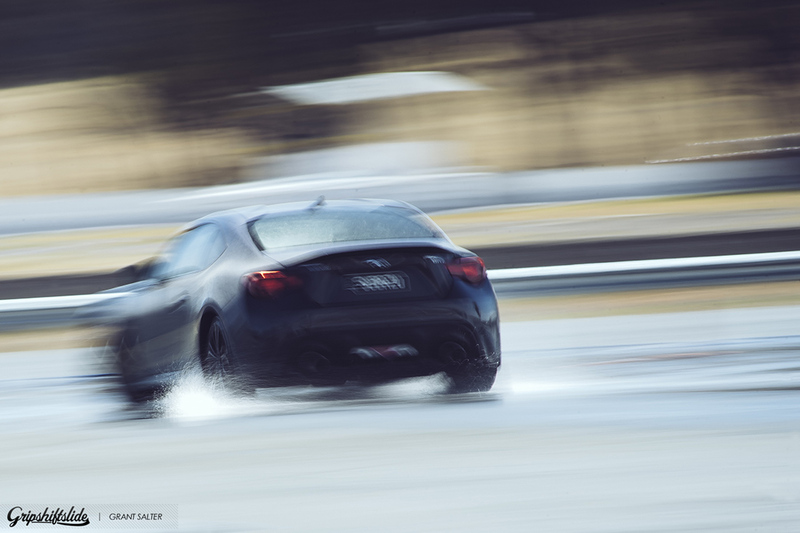 They didn’t hold back in pushing the BRZ’s to the limit at speed around the skid pan! It was a great way to leave us with a lasting smile. 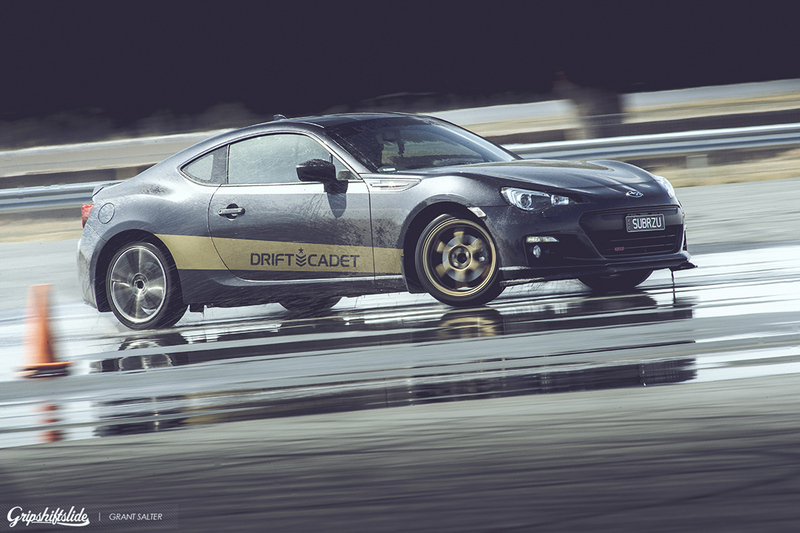 I really admire Drift Cadet for putting it all out there and creating a platform for beginner drifters in Victoria. Creating such a great day and driving experience has left me with skills that I will not forget. 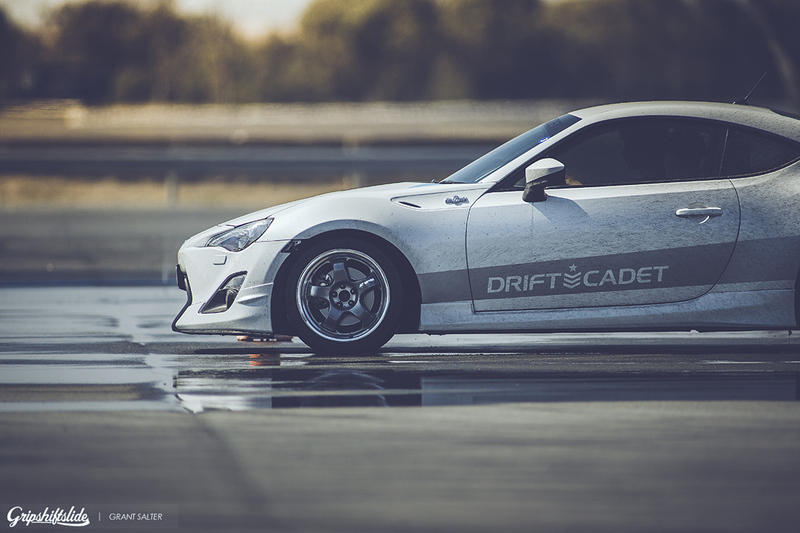 If you would like to lean more about Drift Cadet check out their website or facebook page.